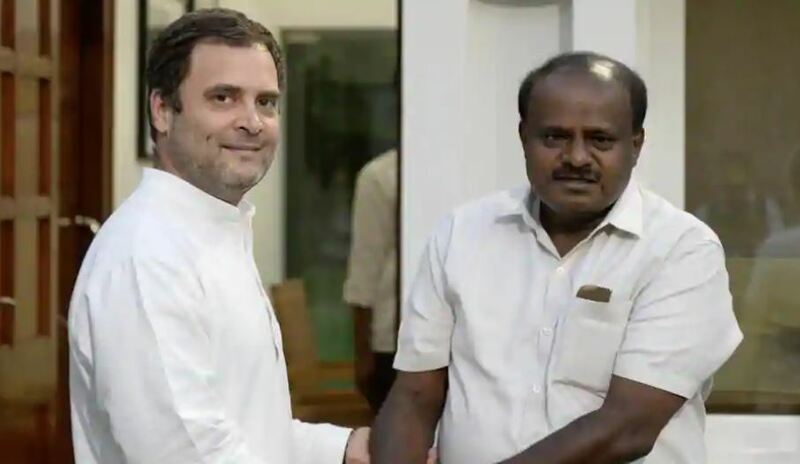 NP NEWS 24 ONLINE – Karnataka by-election: Congress-JDS victory over 2 out of 5, BJP jolted in Bellary Bengaluru – The Karnataka Congress-Janta Dal (secular) (JDS) coalition, the ruling parties, has won two of the five seats in the crucial Karnataka by-election, which is considered to be the semi-final before the Lok Sabha elections next year. The ruling coalition is also leading in the remaining two seats. On the other hand, BJP has returned to Shimoga Lok Sabha seat. The ruling coalition also has an edge in the BJP’s stronghold of Bellary. If this coalition wins, it will be considered a major setback for the BJP where the party has been winning the seat for the last 15 years. There was 67 per cent voting on Saturday. Shimoga, Bellary and Mandya Lok Sabha seats recorded 61.05, 63.85 and 53.93 per cent respectively. In Ramnagar and Jamkhandi assembly constituencies, the voting was 73.71 and 81.58 per cent, respectively. Counting of votes started from 8 o’clock in the morning, and for this total 1,248 counting personnel have been deployed. Police officials said that adequate security arrangements have been made to prevent any untoward incident during the counting. A total of 31 candidates are in the fray for these five seats. However, the fight is mainly between the Congress-JD (S) coalition and the BJP.